Despite the fact that San Francisco’s fog is so legendary it has a persona (hey, Karl), the Mission neighborhood is a sun-drenched enigma of a micro-climate. 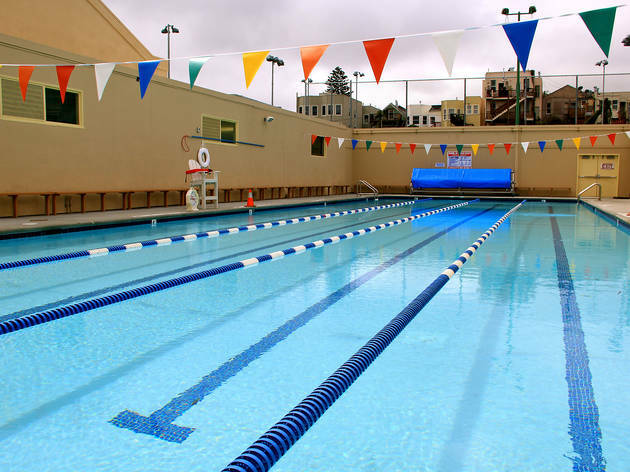 Just a block away from café- and boutique-lined Valencia Street and a short stroll to popular weekend chill zone Dolores Park, this recently renovated swimming hole is the only city-operated outdoor pool in San Francisco. Lanes can fill up quickly, but that deck is a near-perfect spot for catching some rays. 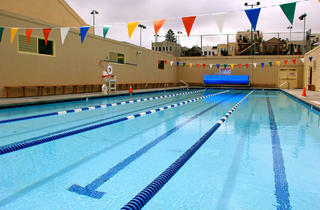 One swim costs adults $6; kids $1.